Pay @FlyinLyons has been in his element today at Day 3 @WPT Rolling Thunder $1.4 Million prize Pool Main Event. Eliminating a few players - including Jesse Rockowitz on the money bubble - and Lyons at one point overtook Chris Hinchcliffe for the overall chiplead. 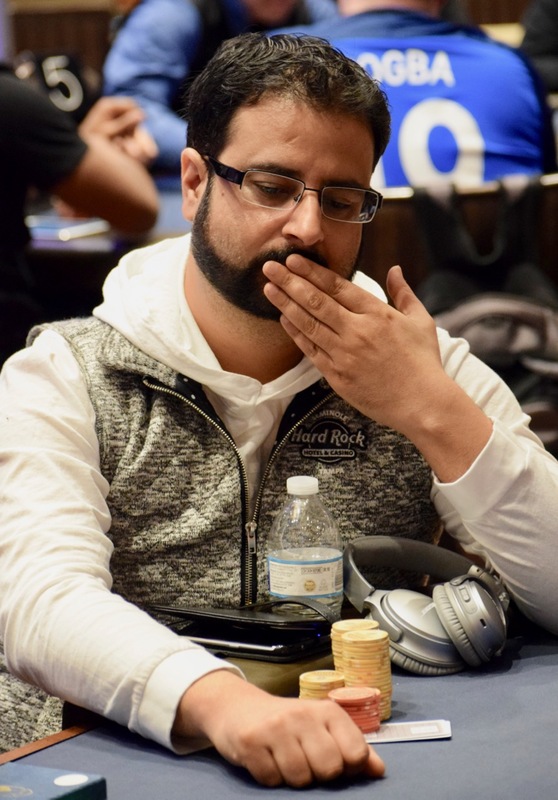 He just moved over-the-top of Ubaid Habib preflop, putting his challenger to a test for all Habib's chips. The Action Clock timed out, one time extension chip went, in, a second time extension chip went in, then the shot clock expired and Habib flashed - only to Lyons - Ace_Jack, and the dealer exposed the hand for all to see. As that happened, Habib picked up Lyons' cards - with approval from Lyons - and turned them over, revealing Ace_Ten, and off to the Tilt-a-Whirl for a ride went Habib, while Lyons chuckled.